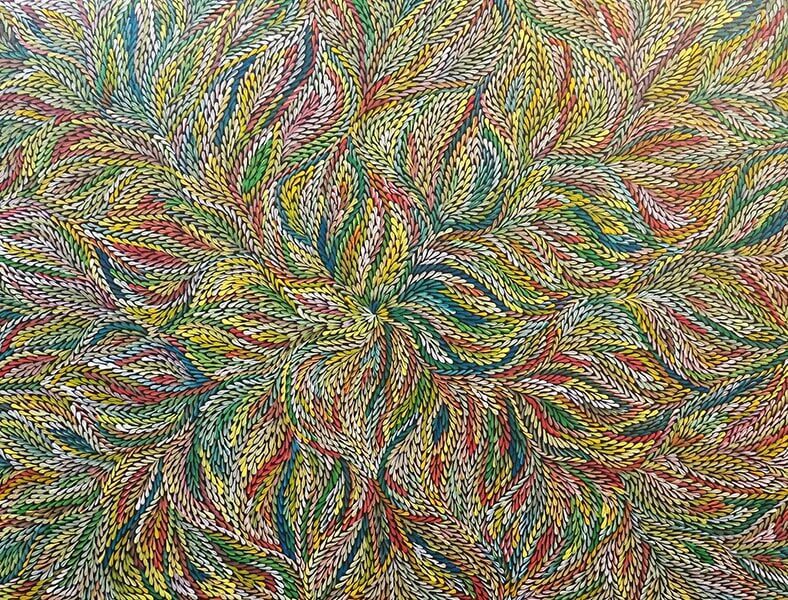 First prize is this magnificent 90cm wide X 120cm High Authentic Acrylic on Canvas artwork by Dulcie Long Pula titled “Bush Leaves”. Artlandish Aboriginal Art Gallery is proud to announce the 2017 Aboriginal Art Essay Contest! The contest is open to school students grade 5 and up. All you need to do is complete the very brief application form (see below) and each application needs to be paired with a school or other education facility and a teacher who is representing the class (or individual student) that is entering. 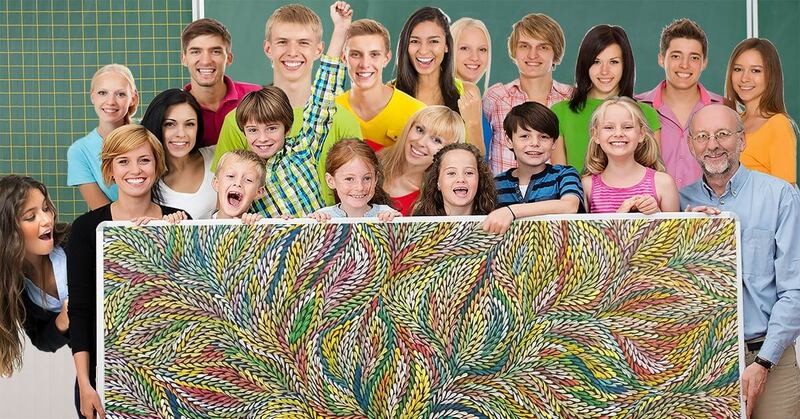 The essay topic is Australian Aboriginal Art & Indigenous Artists with a minimum length of 200 words or essays of comparable length for their age / school grade as directed by their teacher. The last day for essay entries is December 1st 2017 with winners announced December 6th 2017. Entries submitted earlier will be greatly appreciated by the judges. 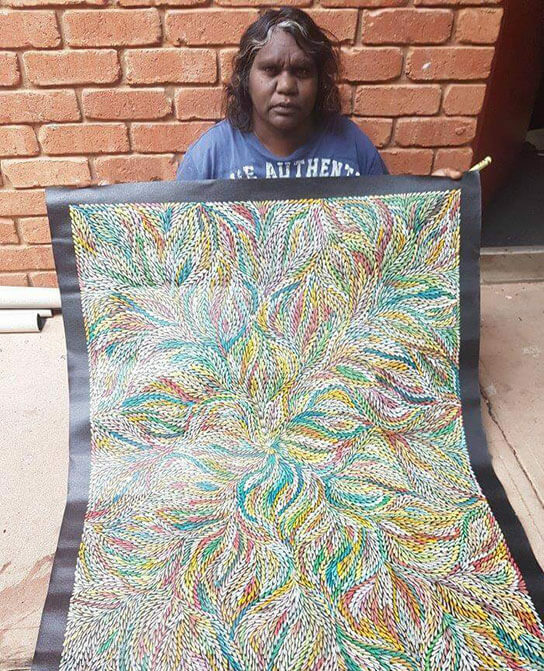 1st Prize – The winner of the essay contest will win for their school a magnificent Authentic Aboriginal painting by Dulcie Long Pula titled Bush Leaves valued at $1,895! 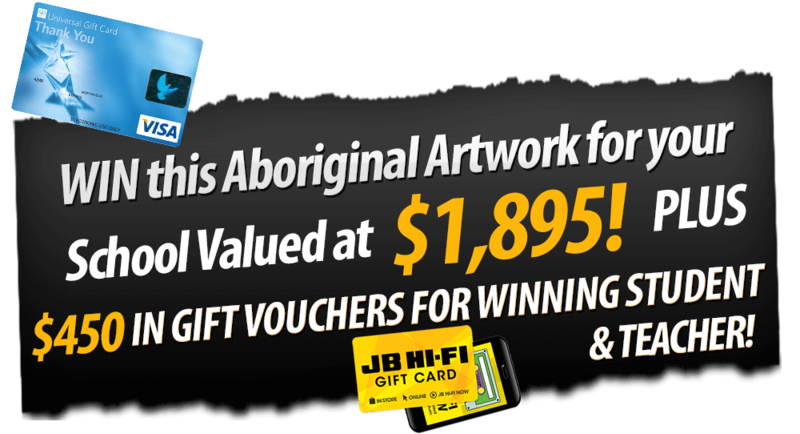 The winning student will receive a $150 Gift Voucher to JB Hi-Fi. The teacher with the best overall class of entries as judged by the Artlandish staff will receive a $300 universal gift voucher. Please make sure you view the rules and the terms & conditions of the essay contest. Like her mother and aunties before her, Dulcie paints the Desert Yam (or Bush Plum) story from her family’s country. The yam grows underground with its viny shrub growing above ground up to one metre high. 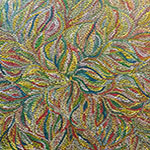 It is normally found on Spinifex sand plains and produces large flowers after summer rain. The yam is a tuber, or swollen root, of the shrub and tastes much like the common sweet potato. It can be eaten raw or cooked and is still a staple food for the desert aborigines where it can be harvested at any time of the year. It is also renowned for its medicinal properties. This medicine is used to heal cuts, wounds, bites, rashes and as an insect repellent. In this painting, Dulcie depicts the leaves of the yam paying homage to the spirit of this special plant in the hope that it will regenerate. 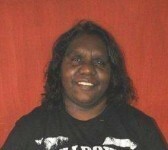 Dulcie Long Pula who was born in 1979 at Boundary Bore Outstation in the Utopia region of the Northern Territory. She is an Anmatyerre woman. Please complete the form below to register & enter your class in the 2017 Artlandish Aboriginal Art contest. If you have any issues, please email us or call Scott on 041 77 222 11. 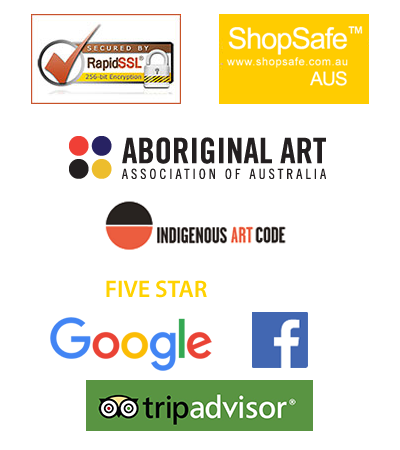 The essays can be on any topic within the subject of Indigenous Australian Aboriginal Art & Artists. Teachers may come up with their own topics within the subject or you can use one of a number of essay questions we compiled. Students can all answer the same question or it can be mixed up. Please note: Multiple classes from the same school are more than welcome to enter. There is no limit. In fact it’s a great way to increase your school’s chances of winning.